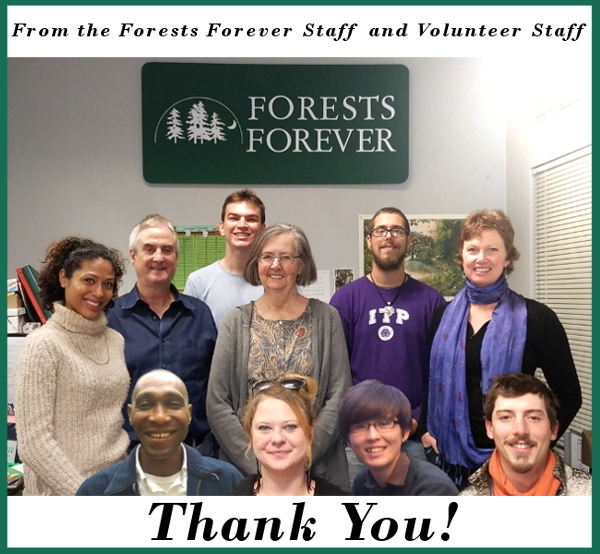 Back our forest team today, Giving Tuesday. Front row from left: Andrew, Stephanie, Eishin, Christian. Back row from left: Tashi, Paul, Josh, Connie, Travis, KAW. Not Shown: Allison, Chris, Julia, Lynne, Richard, Steve, Tanner.